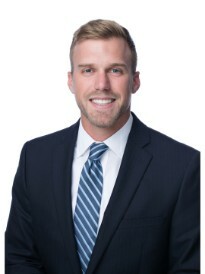 Chase Hancock is an Agency Owner of a Goosehead Insurance branch in Jacksonville, FL. He graduated from Furman University, where he studied Business and Finance. Rick Hancock and Thomas Gallitz are also members of the insurance team in Jacksonville. Rick graduated from Florida State University and Thomas from Florida Atlantic University. The team's favorite hobbies include being at the beach, playing golf, and spending time with family and friends. Our goal is to create long lasting relationships and provide clients with a smooth and enjoyable insurance process. In order to accomplish this goal, we work with several well reputable insurance carriers that offer a wide variety of insurance options and because of this, we are able to offer exceptional coverage and competitive pricing.